Rita Smith talks about children’s literature, specifically the history of children’s books, the various collectible genres, the development of cover designs, and some of the classics. Rita is curator of the Baldwin Library of Historical Children’s Literature in Florida, whose website is a member of our Hall of Fame. I started working as the curator of the Baldwin Library of Historical Children’s Literature in 1994, but I’d worked with the materials in the collection since 1989. The collection had about 90,000 items when I became curator, and now it’s over 100,000. It’s used by undergraduate and graduate students here at the University of Florida who are studying children’s literature. We also have scholars and researchers who come from throughout the United States because we have one of the largest collections of historical children’s literature in the country. It is available to the public, but the books themselves are in a closed stack area, so they don’t circulate. They have to be used in the special collections reading room. It’s really a research collection, children don’t use it. The earliest book we have is from the 1600s. We have some Aesop’s fables from the 1600s. We don’t have too many books from that early, primarily because books weren’t published for children then. 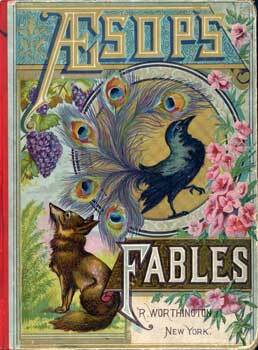 They did read Aesop’s fables, though, because they liked the little stories and the pictures of the animals. They read Robinson Crusoe, too, because it was such a wonderful adventure story, so we have quite a few early editions of that. Children’s books really started being published in the 1750s and 1760s in London. We have maybe 400 titles from the 1700s. A lot of that is didactic literature, moral tracts, little books of poems (which were called hymns at that time), and religious poetry. But the majority of our books were published from the 1800s onward. I also collect current books. Every year I get all the children’s awards books and books that are really popular – I have all the Harry Potter books. We have a lot of 19th-century alphabet books for children, so I continue to buy new alphabet books so that we have a continuing, growing collection. We have a lot of pop-ups and movables from 1850 to 1870, too, so I also continue to buy new pop-ups and movables. I also buy new editions of the classics. If the new edition of Alice in Wonderland came out, I’d buy that, or a new edition of Winnie the Pooh. It’s interesting to see if there are changes in the text, how the illustrations change throughout the years, and how that reflects the current culture. I buy recent books depending on what’s popular and what’s making a splash in the culture. Mainly I go through catalogs and check to see if we have some of the books. For example, I know that we have a lot of the British illustrator Edward Ardizzone’s books, so I’ll look through these catalogs and if there’s one we don’t have, I’ll order it. Collectors Weekly: So children’s books started in Great Britain? Smith: Yes. John Newbery was a bookseller in London, and he’s the person that’s given the most credit for coming up with the idea of books published specifically for children. The Newbery Award in the United States, named after John Newbery, is given each year for the best children’s book published that year. Collectors Weekly: Are there a lot of differences between children’s books from the 18th and 19th centuries and those published today? Smith: Children’s books in the early part of the 19th century had a lot of moralistic stories and cautionary tales – behave or else this bad thing will happen to you. A lot of them had a very specific unstated Christian focus, and they weren’t nearly as nicely illustrated. There wasn’t color in the early children’s books, and in a lot of them, there weren’t even pictures. 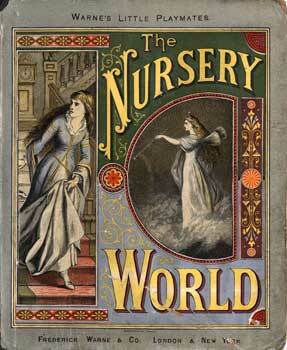 That evolved through the 1800s, and by the end of the century, there were very nice colored books for children. 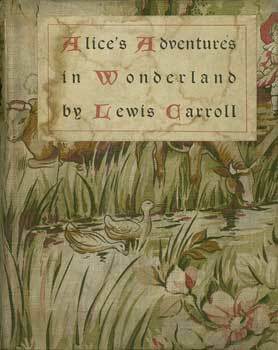 Alice in Wonderland, published in 1866, is considered a watershed book because it really brought fantasy and fun into the nursery, so to speak. The artists working on children’s books today are just top of the line. I think we’re in a golden age of children’s literature. There’s an official golden age of children’s literature that started with Alice in Wonderland and went through about 1920 because many classics were produced then, but I think we’re in another one now because there’s just fabulous stuff being produced for children. Collectors Weekly: When did children’s books start featuring art? Smith: Early on, there were woodcuts, which are engraved woodblocks that were inked and printed into the books. There were some fairly well known artists working in that medium and doing things for children, but those illustrations weren’t colored and they were fairly small. Three British artists working in the 1860s and ‘70s brought children’s literature illustrations to the forefront: Kate Greenaway, Randolph Caldecott, and Walter Crane. The three of them made playful, boldly-colored picture books for children. The technological processes for color printing improved then, too, so they could do it cheaply enough that the books could be afforded by parents for their children. There’s an award given every year for the best illustrated American picture book called the Caldecott Award, named after Randolph Caldecott. Collectors Weekly: Are there some childrens book genres that people tend to research more than others? Smith: I don’t think so. There are a lot of different approaches to children’s literature and you can study any topic. You can study relationships between brothers and sisters, for example. Or fairytales and myths. Fairytales were a popular topic of study 10 or 15 years ago, but I don’t see so many people studying them today. I see a lot of people studying very different and diverse subjects using children’s literature as their base. I don’t know why people aren’t as interested in fairytales anymore. There was a book that came out called The Uses of Enchantment, a secondary source, and it talked about children’s literature and the role of fairytales in the life of a culture. I think that inspired people to look at and study fairytales. Things like that come and go. In 10 years it could be revived. We have enough stuff here to support any research fad that happens to come along. There’s really been a lot of interest in fantasy in the last 10 to 12 years, and I think that has to do with the Harry Potter books and the Philip Pullman trilogy. There seems to be a lot of scholarly interest in fantasy as well. We’ve had some people who’ve been interested in the pop-up and movable books, and we’re beginning to see some research in that area as well: how it relates to the video game industry and some of the crossover ideas there. In a way, the pop-up books were the first interactive technology, because they ask something of the viewer. Fairytales have always been pretty standard, but there are interesting textual differences. A Cinderella that came out in 1880 is different than one that came out in 1980. Fairytales and fantasy were considered a bad thing for children throughout most of the 19th century, so there weren’t a lot of fairytales produced for children. In some ways, fairytales reflect the culture, but in other ways they’re more removed than just a fiction story, which can talk about ideals and values that the adult finds important. Fiction stories are more reflective of the contemporary culture of when they were written than the fairytales are. Collectors Weekly: Where do you acquire your books from? Smith: Several sources. Sometimes people give me books as gifts, and I usually accept them unless we already have a copy. I also get catalogs from children’s books dealers. Sometimes I try to fill in gaps. I do have a budget, and I would say we add about 300 books to the collection every year. We probably get 80 to 100 of the award-winning books each year, and then I probably add another 150 to 200 books, so it’s not growing by huge leaps and bounds, but it’s steady growth. One year, someone who had been a book collector gave me his whole collection of 3,000 books. It takes time to process new acquisitions and catalog them and find space for them, so there’s a lot of work once you get the book. I read them if I have time, which doesn’t happen too often, and I assign it a call number or a location code. Then I send it over to the cataloging department and they provide a record for it – the author, the title, subject, things like that. Then they send it back here, and we put it in the stack and it sits there until somebody asks for it. Collectors Weekly: How important is the cover art to the actual story? Smith: The covers are a whole part of book history. Children’s covers are there both to attract the child reader and to attract the adult who buys it for the child. But the covers should also really be an integrated part of the book, a significant part of the book. In the early 19th century, covers didn’t really have much decoration at all. Sometimes the titles were the only thing on the front and it was very simple. Throughout the century, more decoration and pictures were added. They started using little gold stamps, vignettes of vases or fountains or mothers and children. 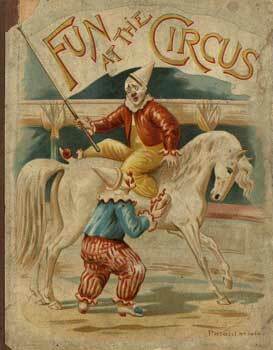 By the end of the 19th century, there were a lot of things on every cover. It was almost like a bulletin board, just things here and there. Some of them had a relationship to what was inside and some didn’t and were put there just because they were attractive. Book jackets weren’t used much in the 19th century. But a book cover is a very important part of the whole object of the book, the artifact. I took a class in 19th-century bookbinding and the progression that they went through is really interesting. You can almost identify the decade a book was published by the look of its binding. In the 1860s, for example, during the Civil War, American books became very plain and somber. In the first half of the 1860s, there was hardly any decoration and the colors were browns and dark greens. The adult books followed the same rule because children’s books and adult books both had similar covers, stamps, and cloths. They just didn’t have the technology to do much decoration back then. In the 1700s and early 1800s, you’d buy books from the printer that weren’t bound, and take them to a binder who would put on leather covers and do it however you wanted. In the 1820s and 1830s, they started making cloth binding, so you had cloth covers. These are called publishers’ book bindings because you would buy them with the binding on. Gradually, as technologies caught up and ideas arose, they started doing some stamping, which made a little design on the cover. Then they started adding gold leaves, so it would be a little gold design, and then they started adding lines around it, outlining the book. You can also see how the book covers reflect the prevailing art movements. In the 1880s, there was a huge impact of oriental design in wallpaper and fabrics and things like that. You can see that reflected in the book covers, too. The little gold stamp vignettes in the middle of the cover were more classical in British books and more homey in American books. British designs would be an urn or a fountain or a flower; American designs would be a human or a mountain or a plow. Book covers are considered part of the decorative arts, which was connected with home furnishings and some architectural designs as well. In the 1870s, there was something called Eastlake design. I think it was made after a furniture designer, but it was also reflected in book covers. Then, of course, there was the oriental influence in the 1880s. Really, the book cover was just another place for designers to do their thing. The authors had very little to do with the covers. Early on in the 19th century, when the cloth covers first came out and started to have little designs in them, the binder was really the one responsible for the cover. He was the expert. Later on, it was the engraver who determined what the cover looked like. He would look at a drawing by an artist and then engrave it in metal so it could be stamped onto the book. After the Civil War, the publisher decided what the cover would look like, and that got crazy. There was just a lot of information on the cover and it was all jumbled together. By the 1890s, publishers were hiring people who had been trained artistically in design, so by the end of the century, the book covers were a lot more elegant. If you’re an illustrator, there’s a lot of opportunity in children’s books. It’s a huge business now. In the 19th century, it used to be that children’s books were an afterthought and they were considered more ephemeral than a lot of other publications, but they certainly aren’t anymore. Collectors Weekly: How many different genres of children’s literature does the library have? Smith: Genres are things like fairytales, folktales, ABC books, sea stories, and boys’ adventure stories. Genres are not what the book is about, but what the book is: It’s a war story or it’s an ABC book. We have poetry books, songbooks, and chapbooks, which are little paper bound books that were really popular in the early 1800s. We have coming-of-age stories, which is another genre where the child transitions into an adult. We have counting books, pop-ups, and movables. We have all the classical authors that you know about – Lewis Carroll, Randolph Caldecott, A.A. Milne, and Frank Baum, who wrote The Wizard of Oz. Hannah More was an early female writer who wrote religious tracks for children, and we have a lot of her things. We have all the important children’s literature authors from 1800 on. Most children’s writers wrote primarily for children, but a lot of authors who wrote for children also wrote for newspapers or magazines or adult books. For example, Graham Greene, who’s always considered an adult author, also wrote several books for children. Gertrude Stein, who wrote books for adults, wrote a couple of books for children. So there was crossover. Collectors Weekly: What were the differences between children’s literature in Great Britain and in America? Smith: Early on, America pretty much just stole everything that the British had. They would import some, but they would also just reprint it over here and put their own publisher’s name at the bottom and they wouldn’t really give credit to anybody else. Eventually America started producing their own children’s literature. We still imported a lot from Britain and there were a lot of parallel additions – one published in Britain and a similar one published in America with some kind of cooperation between the publishers. Collectors Weekly: Are there any specialized collections within the library? Smith: Primarily those genres I was talking about. We have a lot of boys’ adventure stories that were published in the late 1800s, and those were mainly published in Great Britain. They don’t look like what you think of as children’s books. They were probably written for teenagers. They’re thick with small print and they have maybe one picture at the front. But if children read it, we’ll add it to the collection. 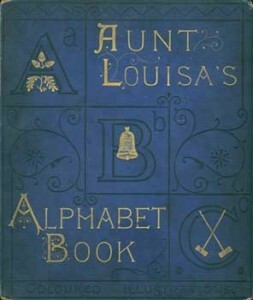 We probably have 250 alphabet books from the 1800s and probably an equal number from the 1900s. Children have read alphabet books forever, and so it’s just a nice collection to have. There’s the alphabet of flowers. There’s the alphabet of animals, of jobs, of scripture. Then there are these little poems. It’s a fun collection to look at. I think children’s books are a really rich resource for cultural scholars to study childhood, what we think of children, how we respond to them, and what we want them to be. In the last 20 years, it’s really become an accepted academic discipline. Collectors Weekly: Do you have any favorite books or collections? Collectors Weekly: How do you think peoples’ attitude towards children has changed from era to era? Smith: There’s really a lot of variety. In the 19th century, there was a very romantic view of children. In the early 19th century, you were worried about your child not being saved. There were a lot of conversion narratives or narratives which saw children who were wonderful Christians and died young. There was that notion that your child needed to understand that they needed to behave and be a good Christian to be saved. In the later part of the 19th century, children were seen as very innocent, and there was a romantic view of childhood. Then, of course, there was the issue of how much you should tell a child. Should everything be happy? What kind of truth can you tell a child? How honest can you be about the world out there? That’s where censorship comes in, too. There’s a difference of opinion there – children need to know or children should be shielded. It’s an interesting issue that’s been there all along with children’s books. The Altemus book pictured in the article was not published in 1897. The 1897 date is based on the year that Altemus copyrighted that version of the title. The book pictured is part of the Boys and Girls Classics Series (which used an earlier title page from another series) and was published after 1908. Perhaps a small point of error but a real one nonetheless. A treasured storybook of mine was accidentally given away years ago. It was a large book (perhaps 10×13″), the cover was red leather, and the illustrations looked like water color paintings. The book was given to me in the mid 1950’s. My favorite story in the book was about a young girl whose mother was ill. The little girl walked barefoot over pebbles down to a nearby stream to get a cool drink of water for her mother. As a result of her good deed, the dipper that she used went up into the sky and became the big or little dipper. Perhaps you know which book I am referring to. If I am able to discover the name and author(s), I might be able to successfully search for a copy. He’s there for you and me. and it blew my ball away. The artist was a friend of mine whose art work was wonderful. I dn’t know the books author, and although this isnlt much to go on, do you have any idea where I might find a copy of the book? I also am looking for the book about the big dipper and the girl getting a drink for her mother. My grandma had this book and I love the story and would like to get a copy. Did anyone identify the book? I have a children’s book entitled The Alexandra Picture book – a collection of tales (ten well-known – e.g. The Babes in the Wood, &c) with illustrations, taken it appears from various periods and sources. The part I am interested in is the first two items: The Soldier’s Alphabet; and The Sailor’s Alphabet. The first depicts various British soldiers with associated rhymes, some in colour – e.g: “A is the AIDE-DE-CAMP, galloping round With his General’s orders to all on the ground”. The drawings for each letter A-Z are in boxes, some coloured, some b/w; those in colour at lower corners of pages have the letters – ‘G L’ (‘G’ or ‘C’?) or ‘G L del’. Publication date is not given but appears to be after 1881, suggested by the verse for letter K: “K is a King’s Dragoon Guard; he has been In Africa fighting the cause of his Queen” [possibly ref. to the South African War of 1879-1881]. The Sailor’s Alphabet is in the same style. The front cover has two girls & a boy running along a beach, in colour; publisher is ‘F. Warne & Co. London & New York’; rear board is marked inside ‘Printed in Holland’ in tiny letters. Any info on this book & contents would be appreciated. Jpegs could be supplied to anyone interested! Many thanks. I have a book titled “Cats and Dogs” published by Review and Herald, 1890. States #2 Graded Series for Children. It even has a handwritten note on the back “1895 Xmas greetings from mama, signed Miss Eula Beardsley, Cedar Springs, Michigan. This book has poems and short stories, all related to children and cats and dogs. Every page has an illustration. What I am trying to figure out is who is the author and illustrator. Unfortunately, I am missing that page with this information. Can anybody give me any ideas on how to track this down? I have a very old book that was given as a gift to a “old” deceased family friend in 1906. It has no copy right etc.. It is a hard cover illustrated (by E.S. Hardy?) title; Hans Anderson`s Fairy Tales complete edition translated from the Danish by W.Angeldorff at the bottom it just says Boston below that DeWolfe & Fiske Co. I cant find any infop on this very old book. Help me please. I have a few of the books that you listed. I collect Pop-up Children Books . I am planning to start a Reading Center. Do you have any suggestions or do you do workshops?